Blog experts say that niche blogging is the excellent way to engage a specific audience. 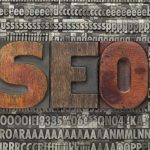 The concept of niching is nothing new to marketing: when applied to blogging, it simply means that blog writers can focus on subjects that are targeted toward a specific audience. This focus in some ways can make the job easier on the writer, but may also at times limit him. How so? 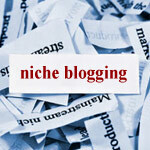 Niche blogging requires a great deal of involvement on the part of its writer. The writer must love the niche he has chosen to work with and know it intimately. This means knowing exactly what the readers are looking for and catering to their specific needs. It follows, therefore, that a niche blogger should have a vast store of knowledge about his niche and have a genuine interest in it. This will ensure that the niche blogger will never run out of ideas or topics to write about that can keep his readers hooked on the blog over the long term. Because niche blogging is a focused way of engaging a specific audience, the writer should have the commitment to continuously update himself with trends within his niche. Only a deep and total understanding of his niche will enable him to come across to his readers with conviction. Blog writers–especially those who address niches–must be absolutely believable, which means that their written work must be supported by facts. It is always best if the writer speaks from first-hand experience. For this reason, most niche bloggers don’t just write about their niche, they push themselves to experience the things they write about: Bag retailers attend fashion shows; car dealers have personal automobile trades; music writers attend concerts, write music, and mingle with singers and producers; oceanographers study the vast expanse of the oceans. Bloggers who stick to general subjects may find it easier to write and maintain blogs than nichers. However, being generalist is like facing an uphill battle against thousands of other bloggers doing the same thing–and often, doing a better job of it or gaining more recognition for their blogs. Nichers benefit from the fact that customers like to do business or read blogs written by people who they view as experts. If they see you as someone with specific knowledge about, or with the experience in things they’re interested in, they will be more likely to read your blogs and patronize the services or products you offer. The biggest downside to niche blogging is limitation. Niche writers cannot, or should seldom stray from topics that will interest his readers lest he lose their interest. If a blogger writes about bags, he should stay on track with that subject to avoid confusing his audience. He can talk about Longchamp, Hermes, Balenciaga, or Prada, but will certainly not be expected to write about Ray-Ban, 7-Eleven, or Chinese oatmeal. These limitations can be a bit draining on niche bloggers. Writing something new about the same subject day-in and day-out is especially demanding, more so if you do not belong to the industry you’re writing about. For some, repeatedly writing about something can cause boredom and leads to burn out. To keep abreast of the goings-on in his niche market, the blogger needs to continually ask himself: Who is my client? What is he looking for? How can I give it to him?